Makeup removal is the first step of our evening routine. Some of us look forward to removing our makeup at the end of a tiring day, and well, some of us would rather hit the sack immediately. If you’re that sleepy, lazy girl, read on. We have 17 great makeup remover wipes that cleanse your makeup off thoroughly within such a short time, you’ll be able to reach dreamland in no time. These makeup remover wipes are formulated not just to get rid of makeup, but also to help skin look less dull. Infused with vitamin C and AHA’s lactic acid, each sheet is able to remove dead skin cells and blackheads while removing your makeup. 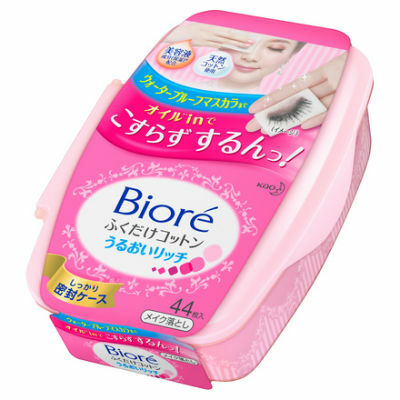 While many bloggers said they like the Bifesta wipes, there was one who said that she didn’t feel the wipes made her skin feel clean, and didn’t like that there was an alcohol smell. However, the same blogger also said she will consider re-purchasing. 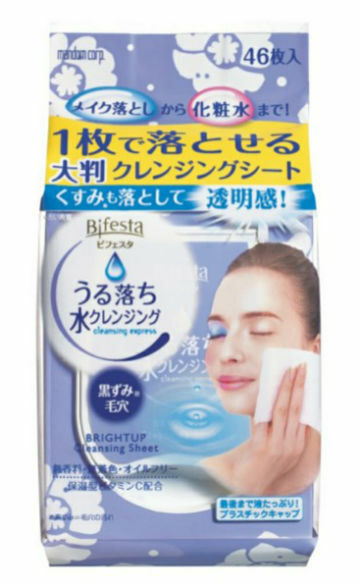 Bifesta Sheet Brightup retails at SGD14.50 for a pack of 46 wipes, and is available at all major drugstores. Housed in a hard case, this allows you refill the sheets when you’ve finished them, and can keep the sheets wet for a longer time. This is the winner for Best Cleansing Wipes at Daily Vanity Beauty Awards 2018, which means it’s picked by expert judges and Daily Vanity readers as the product most worthy of your purchase. 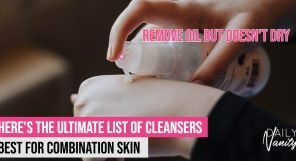 Users who have tried this product were impressed by how effectively it is able to remove all traces of makeup, including waterproof mascara, which can be very stubborn to get rid of, even with a cleansing oil. They also love that it leaves their skin feeling clean and hydrated. Biore Cleansing Oil Cotton Facial Sheets retail at SGD17.90 for a pack of 44 wipes and is available at major drugstores. Developed and tested by dermatologists, Cetaphil has been a go-to brand for those with sensitive and acne-prone skin. These cloth wipes are said to be gentle on skin and not clog pores. It has a respectable rating of 3.8 out of 5 on Makeupalley, with most of the positive reviews coming from reviewers who said they have sensitive skin. 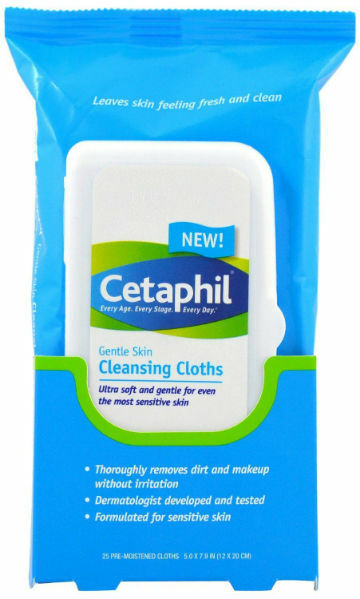 Cetaphil Cleansing Cloth Wipes retail at SGD13.90 for a pack of 25 sheets and is available at major drugstores. These pads are pre-soaked with milk emulsion to remove makeup gently, and are safe to use even around the delicate eye area. Free from key allergens such as mineral oil and artificial perfume, the product is also suitable for sensitive skin. Reviewers on Sephora like that they are individually packed, and said that the wipes leave their skin feeling very cleansed. 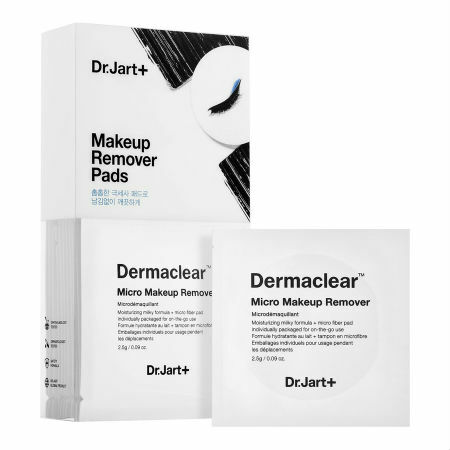 Dr Jart+ Dermaclear Micro Makeup Remover Pads retail at SGD42 for a pack of 20 sheets and is available at Sephora. From its name, you probably would have guessed that Eyeko is known for its comprehensive offering of products for your eyes. 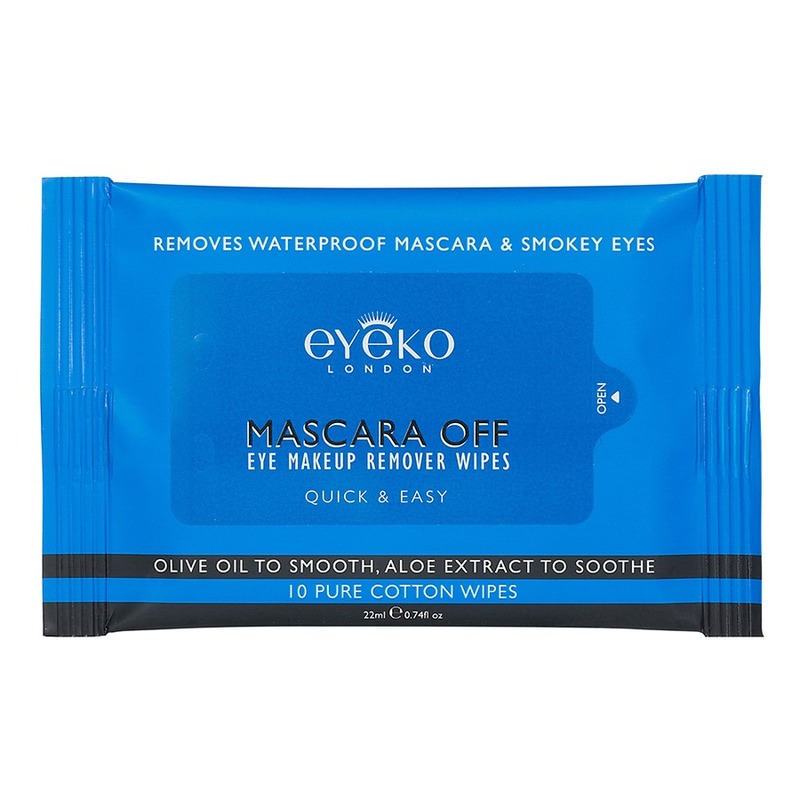 One of the much raved about product from Eyeko is its eye makeup remover wipes. Made with pure cotton, users said that they are gentle on skin, which is important because it’s used on the eye area. A reviewer said that it takes her about three to four wipes to get every trace of eye makeup removed, and one sheet is sufficient to use on both eyes. Eyeko Mascara Off Wipes retails at £6.00 (approximately SGD11.10) for a pack of ten wipes, and is available at ASOS. These wipes are enriched with matcha, a superfood that has antioxidant properties to protect skin against environmental aggressors. On top of this, the wipes are also infused with vitamin C (skin brightening), aloe vera (soothing), and caffeine (energising) in them. While there was a one-star review on Sephora, bringing down its overall rating, reviewers on Influenster seem to love it. 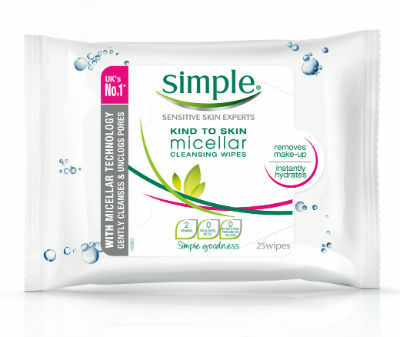 Reviewers on the review platform said that the wipes really energise their skin and feel gentle on skin. 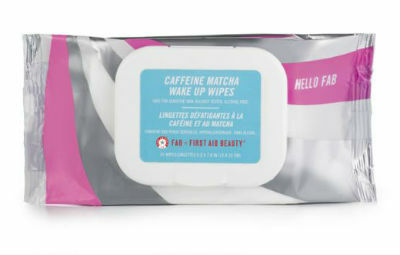 First Aid Beauty Hello FAB Caffeine Matcha Wake Up Wipes retail at SGD25 for a pack of 25 sheets, and is available at Sephora. These cleansing wipes don’t just remove stubborn makeup and impurities, but also deeply nourish skin with ingredients like Noni Extract and Pink Guava, to improve collagen production and protect skin from environmental aggressors. Individually packed for convenient usage while on the go, these wipes have also been tested to be safe for those who wear contact lenses. 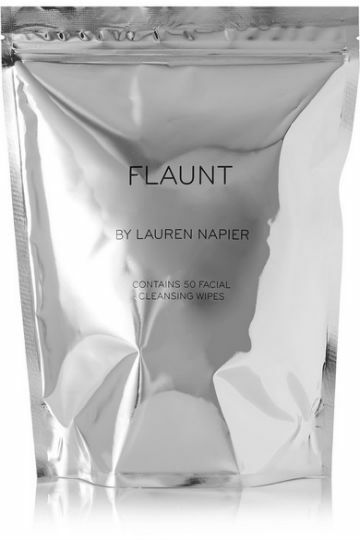 A reviewer said that she finds the Flaunt by Lauren Napier Cleansing Wipes different from other wipes she has tried, and loved how it leaves her skin feeling soft after cleansing. Flaunt by Lauren Napier Cleansing Wipes retail at USD24.23 for a pack of 15 wipes, and is available at Net-a-Porter. This may not be a brand that you might be familiar with, but it has received a rating of 4.7 out of 5 on Makeupalley, with many saying that they like the scent and that it cleans well. Reviewers on Influenster also have raves for it, with one being super impressed that it was able to remove very stubborn mascara without leaving behind any residue. The product is infused with ingredients that sound refreshing: Grapefruit, Apple, and Chamomile, and is said to be suitable for acne-prone skin. 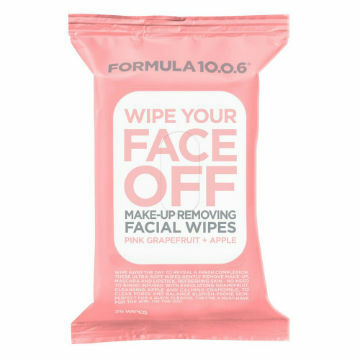 Formula 10.0.6 Wipe Your Face Off retails at SGD8.90 for a pack of 25 wipes, and is available at major drugstores. 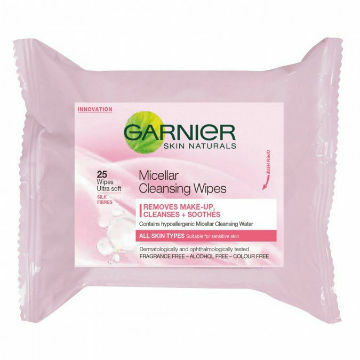 Garnier’s Micellar Water is among one of their most well-loved products, so it probably come as no surprise that their micellar wipes are popular too. Formulated to instantly remove all types of makeup (including eye makeup), these wipes are also said to be soft and gentle on skin. It received a rating of 4.3 out of 5 on Makealley, with many reviewers saying that it is one of their favourite products. However, there are users on Amazon who complained that the wipes smell bad and that they are drying on skin. Garnier All-in-1 Micellar Wipes retail at SGD12.90 for a pack of 25 sheets, and is available at all major drugstores and Lazada. If you’re wondering why these are called Bulk Wipes, well, that’s because the sheets are larger then regular ones, and are also packed with skincare goodness, such as vitamin E. It also comes with a resealable lid to keep the sheets fresh. Most reviewers of the product loves how well it removes makeup, and said that it is gentle even on sensitive skin. However, one of the reviewers had a bad experience with it, and said that she received an allergy from it. MAC Cosmetics Bulk Wipes retail at SGD52 for a pack of 100 sheets, and is available at all MAC stores and counters, as well as Sephora. 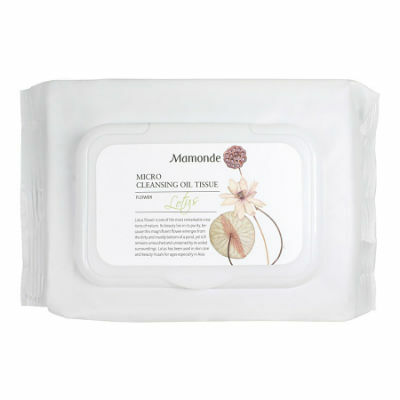 Each wipe from this Mamonde product is soaked with a fluid oil formula and is designed to remove not just makeup, but also impurities like ultra-fine dust. With 4.5 stars out of 5 on Sephora, this is recommended by reviewers who have tried it. 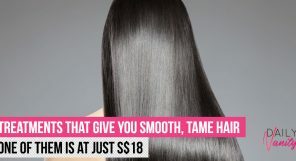 One of them said that she initially grabbed this product just to hit a minimum purchase online, but it turned out to be a great product that she felt was effective and not drying. Mamonde Micro Cleansing Oil Tissue retails at SGD18 and is available at Mamonde counters, Sephora, and Lazada. These wipes are said to have oil-dissolvers that can cleanse deeply, despite not having oil in its formula. 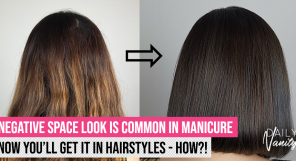 However, reviewers appear to be split about how well it works. 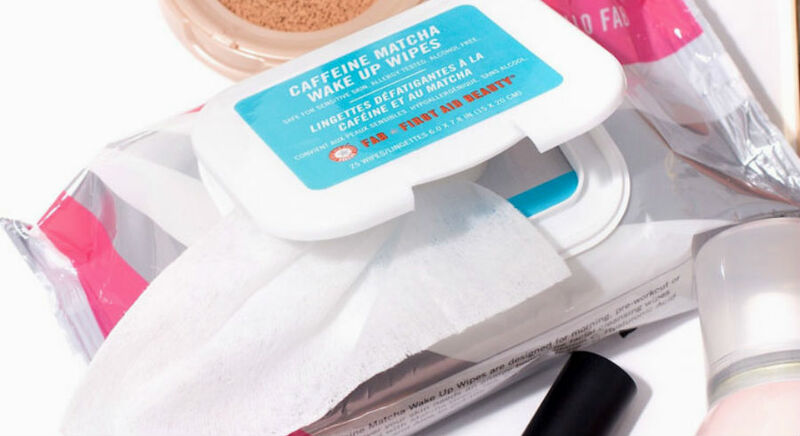 It looks like most users who are new to makeup remover wipes and don’t wear heavy makeup enjoyed the product, but many others complain that the formula sting and that it is ineffective on eye makeup. Nonetheless, we are still including it in this list because it has a good number of die-hard fans. 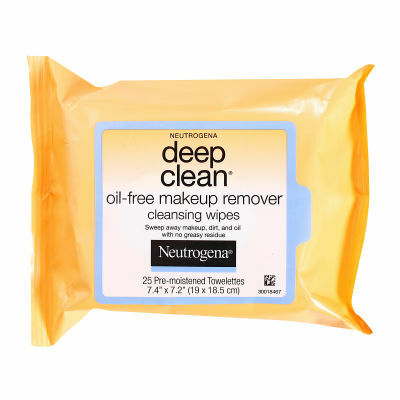 Neutrogena Deep Clean Oil-Free Makeup Remover Cleansing Wipes retail at SGD27.80 for two packs of 25 sheets, and is available at all major drugstores and Lazada. These wipes are made for dry and sensitive skin and can be used to remove both face and eye makeup. Most users said that they find the Nivea m Gentle Facial Cleansing Wipes affordable, while it’s able to deliver a thorough cleanse. Many also said that they find it moisturising, and recommend it for freshening up skin after a long day. However, users pointed out that the wipes tend to dry up easily and some of them find that the texture is slightly rough on skin. 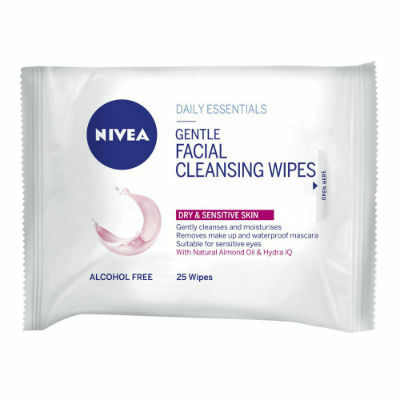 Nivea Gentle Facial Cleansing Wipes retail at SGD9.50 for a pack of 25 wipes and is available at major drugstores. With a 5-star rating in the Watsons online store, this is probably the most affordable product on this list. The Pure Beauty Urban Shield Makeup Remover is infused with Urban Shield Complex, which is said to protect skin from environmental aggressors, as well as Swiss Radicare that has anti-ageing benefits, and Bulgarian Rose Water, a super hydrating ingredient. However, note that a blogger said the product wasn’t suitable for her sensitive-dry skin. 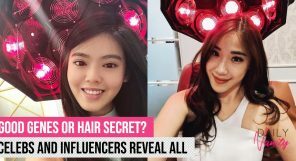 She said that although it managed to remove makeup completely without giving her any stinging sensation, she felt that it left her skin feeling drier, and there was slightly red patches around her nose after cleansing. This retails at SGD5.90 for a pack of 40 wipes, and is available at major drugstores and Lazada (which is having a discount at the moment). These makeup remover wipes are individually sealed, so you can be sure that the wipes will not dry up until you open each packet. The packaging also makes it super easy to carry it around, especially when you travel. Pre-soaked with coconut oil, these wipes from RMS Beauty also has anti-bacterial properties and a cooling sensation, making it a great option for those with acne-prone skin. Most reviewers are incredibly impressed by how well these wipes clean even waterproof makeup, and how they smell, but some of them mentioned that the wipe may leave a greasy finish after cleansing, so you may need to cleanse again with a facial wash.
RMS Beauty The Ultimate Makeup Remover retails at SGD26 and is available at Sephora. 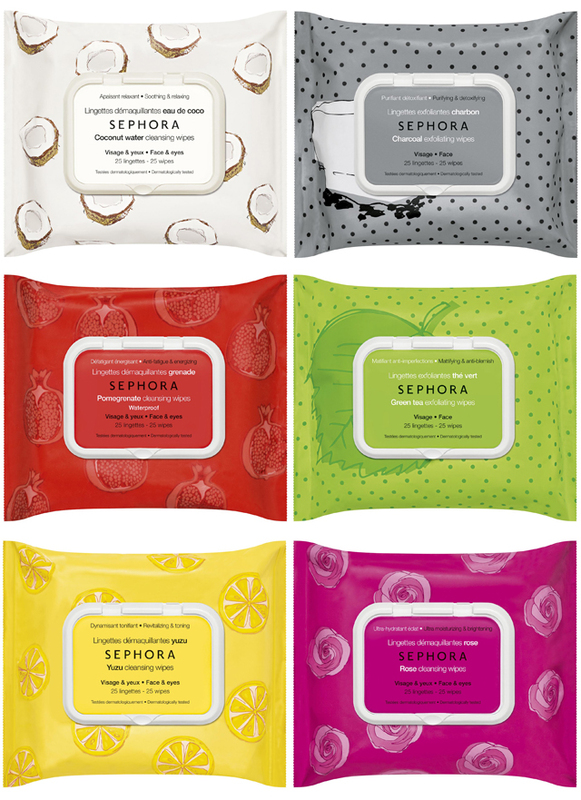 Sephora Collection has a range of cleansing wipes that you can frequently find around the Daily Vanity office – the team loves that they smell good, cleanse well, and are very affordable. If you’re looking for something to start with, consider the Coconut Water variant. This feels soothing on skin and reviewers find it refreshing. 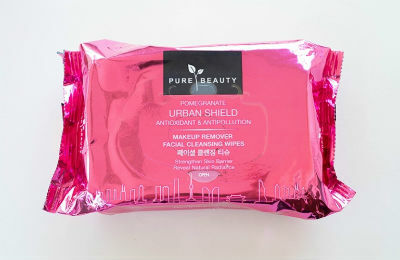 Those who tried it also said that the wipes feel soft, and not scratchy, and that it removes makeup effortlessly. Sephora Collection Cleansing Wipes (Coconut Water) retail at SGD10 for a pack of 25 sheets, but they are having a discount at the Sephora online store at the time of writing. Simple is well-loved by skincare enthusiasts who have sensitive skin, because they are known to not include common allergens in their formula. Their cleansing wipes are among their bestsellers, and are pre-soaked with micellar water to remove makeup while keeping skin feeling fresh. 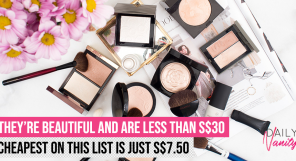 It scored 4.3 out of 5 on Makeupalley, with most reviewers saying they like the product. Take note that there are a small number that said the product broke them out, and one that said that the sheets are thin and tear easily. Simple Micellar Cleansing Wipes retail at SGD15.90 for a pack of 25 sheets and is available at major drugstores. 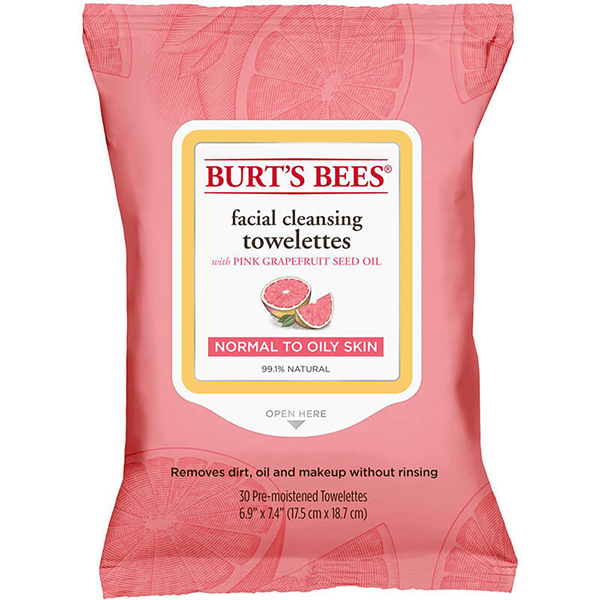 Those with normal to oily skin are sure to adore the Burt’s Bees Facial Cleansing Towelettes with Pink Grapefruit Seed Oil. Not only does it gently clean away pore-clogging dirt, oil, and makeup, it also contains no parabens, phthalates or petrolatum, working gently on skin so as to ensure no redness or sensitivity. The Burt’s Bees Facial Cleansing Towelettes with Pink Grapefruit Seed Oil retails at SGD18 and is available at all Sephora outlets. Surprised? We knew we were when we found out! 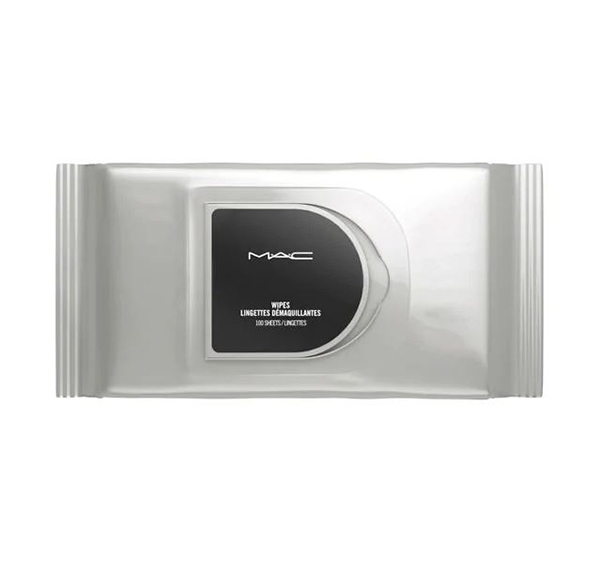 Considered to be a hidden gem of sorts when it comes to the best makeup remover wipes out there, the MAC Cosmetics Bulk Wipes swipes away all dirt, impurities and makeup all whilst conditioning your skin. This leaves skin perfectly primed for makeup, with its large size making it perfect to remove all traces of makeup in just a single wipe. Nice! This one is also super saturated with protective Vitamin E to keep skin from feeling stripped even after multiple (and vigorous!) rubbing. Don’t worry, though— we highly doubt it will come to that. 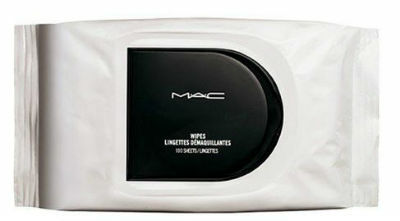 The MAC Cosmetics Bulk Wipes retails at SGD29 and is available at all MAC boutiques, at major departmental stores, as well as at selected Sephora outlets. A pack of pre-moistened, biodegradable towelettes infused with green superfoods to cleanse and revitalise skin, it is no wonder that the Yes To Cucumbers Hypoallergenic Facial Wipes has amassed such a cult-like following! Containing aloe vera, organic cucumber as well as antioxidant-rich green tea, the Yes To Cucumbers Hypoallergenic Facial Wipes gently eliminates dirt, sweat and make-up without being overly-drying on skin. Apparently, it great to use for travel, too, with users experiencing a clarified complexion with a healthy glow. 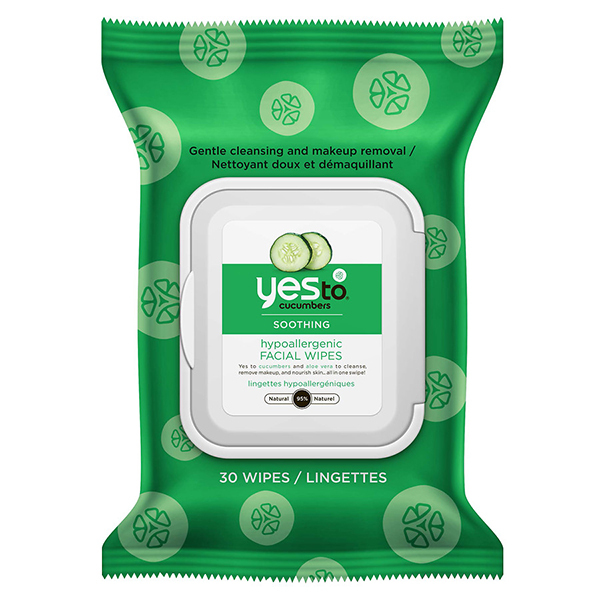 The Yes To Cucumbers Hypoallergenic Facial Wipes retails at SGD5 and is available on LookFantastic. Even waterproof makeup is effectively and effortlessly removed with the Pixi Makeup Melting Cleansing Cloths, making it a real contender when it comes to being one of the best makeup remover wipes out there. Infused with both chamomile and grape seed oil, each cloth aims to soothe and calm skin during removal, ensuring no redness or sensitivity after use. The small, handy size also makes it great for travel and on-the-go use. Slip it into your luggage the next time you go traveling to see optimum results! The Pixi Makeup Melting Cleanser Cloths retails at SGD18 and is available on LookFantastic.